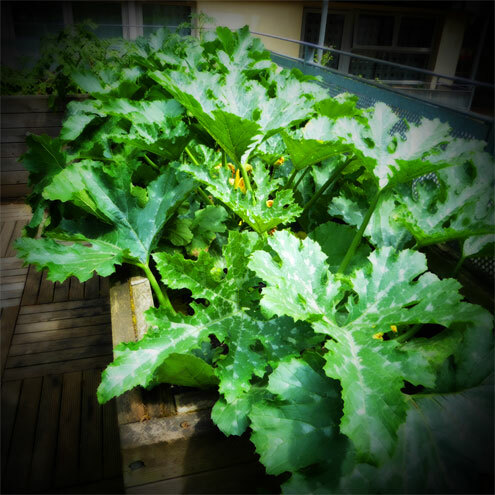 By far the most prolific and rampant vegetable currently growing in the collective garden here at Yumblog Villas is the courgette. Some have become so pumped up they have started to hang around with the marrows. 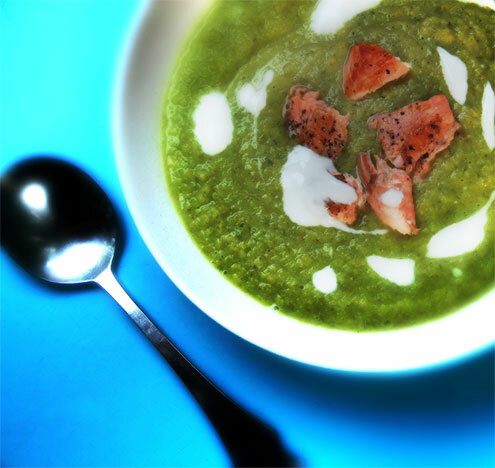 Two such swaggering beasts constituted the bulk of this refreshing, light yet substantial summer soup. I’ll suggest next year we also grow peas and keep a cow, thus avoiding the necessity of going to the shops altogether. Heat the oil in a LARGE saucepan, add the onion and garlic and sauté for a few minutes until softened. Add the grated courgette and lemon zest and sauté for a couple more minutes until the courgette has softened. Add the stock and peas, bring to the boil, turn down the heat and simmer for a couple more minutes. The idea is to keep everything fresh and green, so don’t boil it to a grey mush. Pour into a liquidiser, add the mint and buttermilk and blend until smooth. Add the lemon juice, taste and season again if necessary. Chill for 3–4 hours (or overnight). Serve in CHILLED bowls, topped with the flaked salmon and a drizzle of the remaining buttermilk. Best accompanied by a good crusty thickly buttered baguette. Verdict: A smooth, minty, zesty and surprisingly filling bowl of courgette and fishy loveliness. Vegetarians could perhaps replace the fish with toasted sourdough topped with a goaty goat’s cheese. Vegans could eschew the buttermilk, fish or cheese and simply sprinkle with dust and despair. 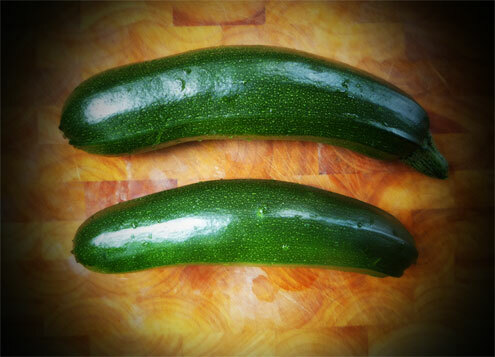 Have a glut of courgettes yourself? Try this near perfect ‘Pasta with courgette, basil, parmesan and a beaten egg yolk‘ or if it’s a pizza you want, this unusual but delicious ‘courgette & mint‘ version. * After a fruitless search in what I assumed to be the more likely shops, I eventually found buttermilk in a place which is known in these parts as ‘The Big Sainsburys’.